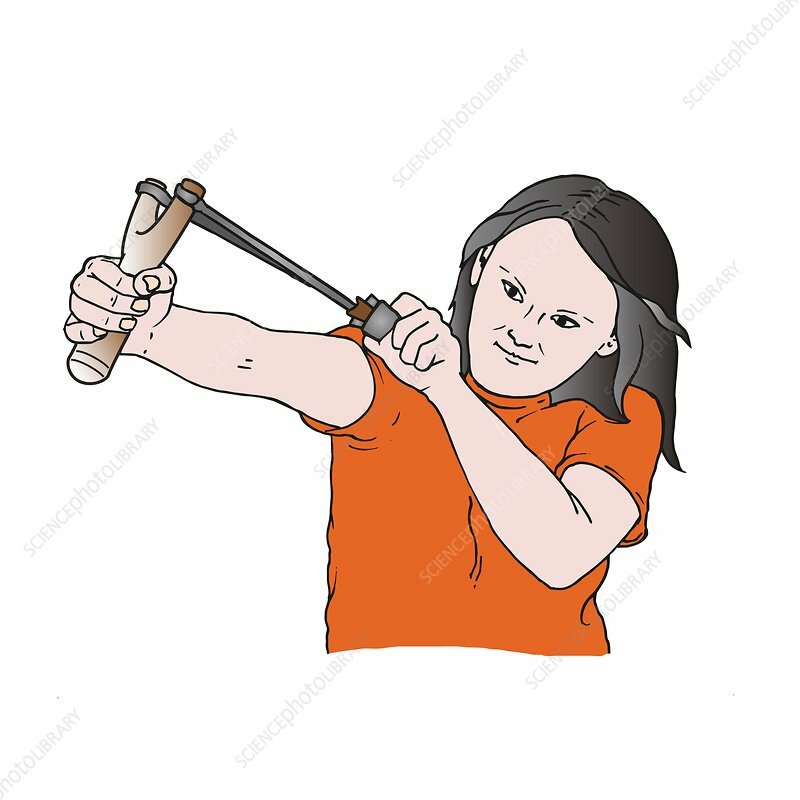 Slingshot or catapult, illustration. The Y-shaped frame is held in one hand, and the other hand grasps the pocket containing a projectile. The work done as the pocket is drawn back is converted into elastic potential energy in the stretched rubber bands attached to the frame. This elastic potential energy is rapidly converted into kinetic energy as the projectile is released.